When you fight the law, the law usually wins. 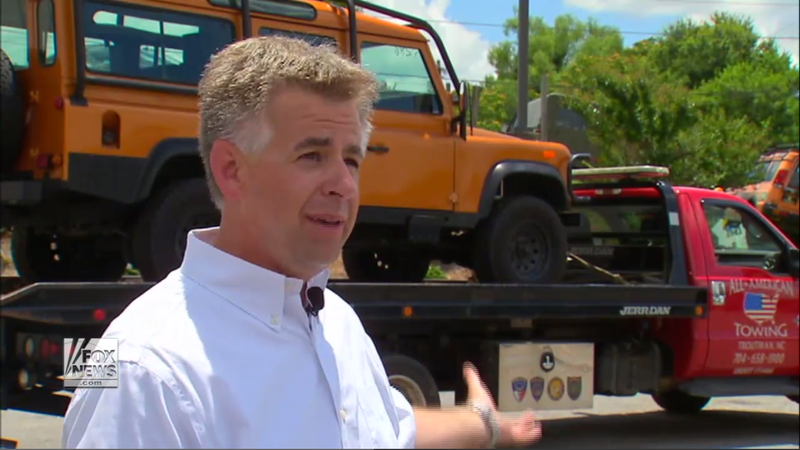 This is the case with most people, but not North Carolina attorney Will Hedrick, whose pro bono case against the federal government resulted in more than two dozen imported Land Rover Defenders to be returned to their owners following seizures last year. To recap, if you haven’t been following the saga: agents from the U.S. Department of Homeland Security seized the Defenders last summer, claiming they were in violation of the contentious 25-year import rule. Hedrick argued they weren’t illegal, and after months of duking it out in federal court, he emerged victorious a few weeks ago and succeeded in getting his clients’ vehicles back. Hedrick argued federal officials had no proof these Land Rovers weren’t of legal age to be here, and even if they somehow weren’t legal at the time of import, all of them are at least 26 or 27 years old now. It’s a nice profile on the guy who defended the Defenders, and did it all for free.